When designing our warehouses, our first priority was to maximize the value our clients receive. So just how did we go about doing that? 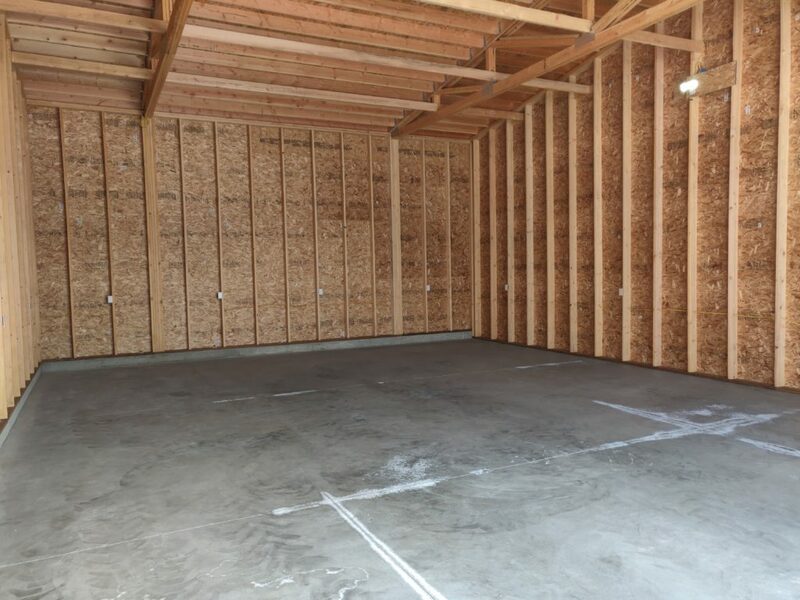 A standard 10×20′ storage unit typically features 8′ high walls, and a warehouse door that is 7′ high and 8′ wide. At Far West, we offer our clients wider and taller doors, making it easier to load and unload stored items, or even back a trailer into one of our units. 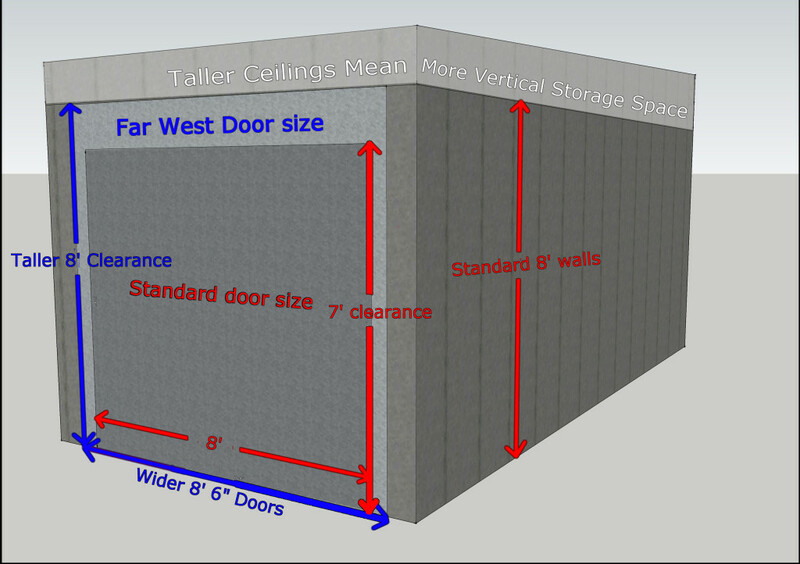 We also feature taller 9′ walls, giving you more vertical storage space. This means that you’re able to stack items higher, fitting more than you could with an industry standard unit. The end result was a storage unit that offers our clients more space and easier access, all at a reasonable rate. We also offer larger units, big enough to store anything from a fully packed house and garage, to boats, small RV’s or even your classic car collection! Our ‘crown jewel’ is our single 28×38 storage unit, featuring 1064 SQUARE FEET of storage space! 1064 square feet of storage – the equivalent of more than 5 of our standard 10×20 units!